I am going to write a review about two Octopus that were in love. The movie was set in a Greek Island. The main characters were in love and where stuck together. There was a man that was trying to take one of them to the restaurant but the other Octopus got the other octopus back so they can be together again. and got the female octopus back then the dangerous battle begin. 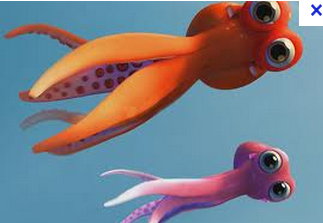 The octopus were in love and they couldn't be separated they always wanted to be stuck together. the two oktapodi then the two oktapodi got slammed on the the top of the van. I loved Oktapodi it was a brilliant movie because it is set in a beautiful village called Greek Islands.